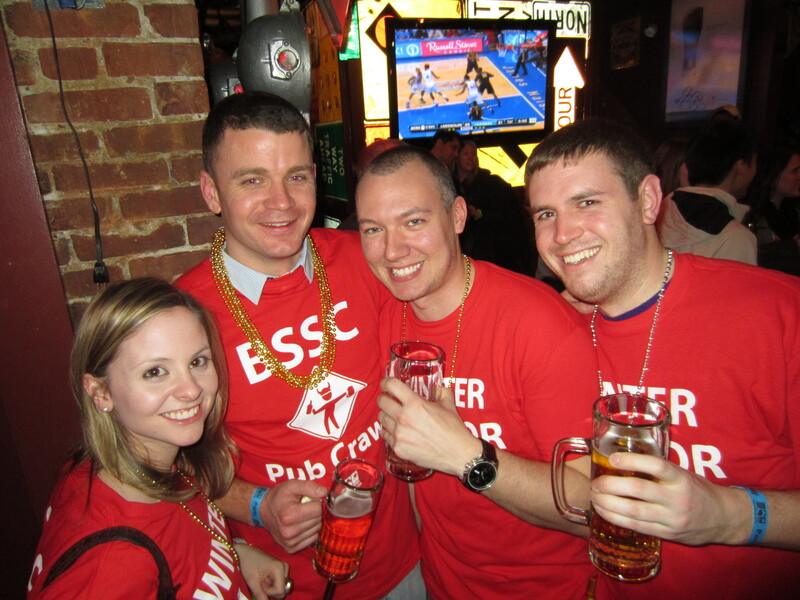 BSSC’s Winter Warrior Pub Crawl Brings Together Boston’s Bravest! Going out and staying social in Boston during the winters is not for the faint of heart. With the shorter, darker, colder days dragging out for 6 months, trekking out in subzero temps can seem far less appealing than a night curled up in your Snuggie catching up on your DVR. Well, we at BSSC challenge the winter blues! For those brave enough to still look for things to do in Boston this winter–our Winter Warriors, so to speak–we’ve got the perfect opportunity to jumpstart your social life and shake off that Snuggie! Lucky for us all, Boston’s got many bars and pubs in close proximity, making a pub crawl the perfect antidote to a sluggish social life–even in the dead of winter. The historic Faneuil Hall area boasts over 30 bars alone, and all within mere steps of each other, making it a perfect pub crawl spot. 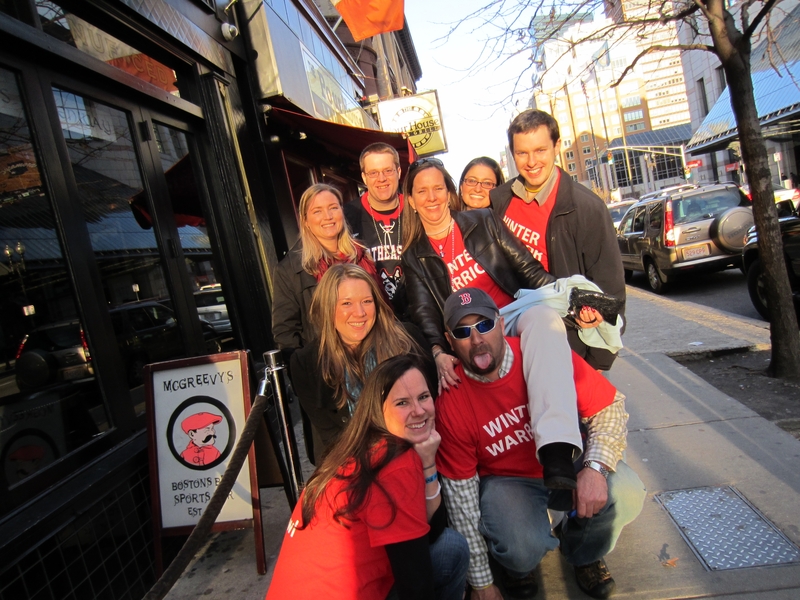 A quick walk between bars will certainly lessen the blow when that brisk February air hits you, and that is precisely the reason we chose Faneuil as the location for this year’s Winter Warrior Pub Crawl. When/Where/Time: Sat. February 23rd, Faneuil Hall, starting at 1pm (meeting time, 12:30pm). How much? : $15 for BSSC Members, $20 for Non-Members, and GROUPS save big when you buy 5/$50! Click here to sign you & your friends/teammates/coworkers up for this slope-alternative day of winter fun, or invite them on Facebook here! It’s an amazing deal- besides, can you think of anything more fun to do on a Saturday afternoon in February? Didn’t think so. Stretch into Spring with These Helpful Tips!